Gift 5 comes in a clear varnished hardwood box with sliding lid. 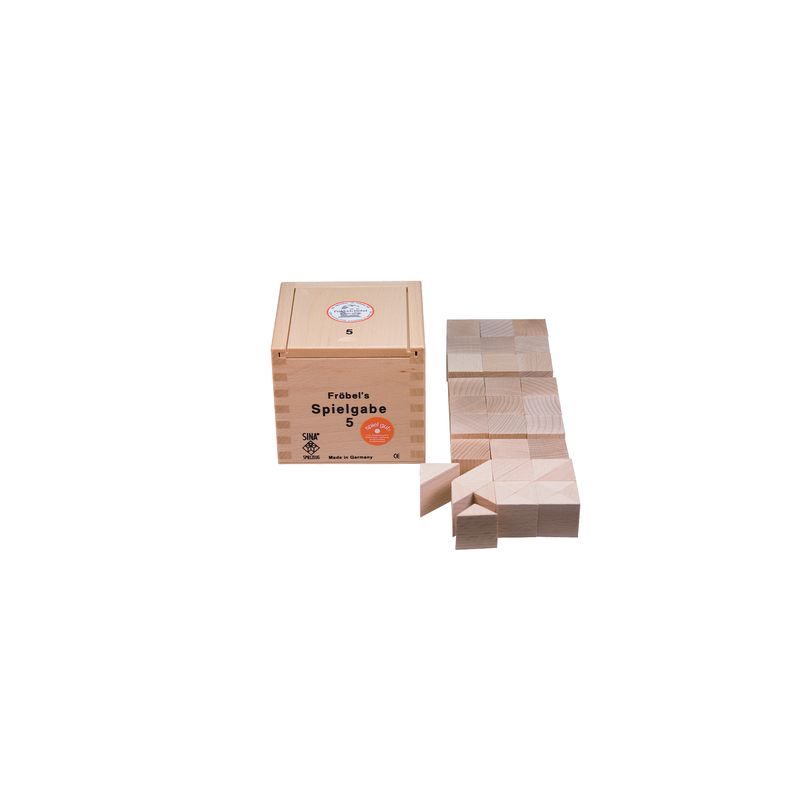 Contents: 21 cubes (25 x 25 x 25 mm), 6 halfblocks, 12 quarter blocks. These are authentic SINA products. All SINA products are entirely “Made in Germany”. SINA products are made from beech wood - reducing splintering and thus the risk of children being injured.The wooden toymakers at work in the SINA production facility in Neuhausen/Erzgebirge are not only masters of their craft but also highly skilled at combining the traditional and the modern.